By examining economic development in the Middle East in the aftermath of the Arab Spring, this textbook introduces undergraduate and postgraduate students to the most pressing and topical economic issues in the contemporary Middle East. With comprehensive coverage of the entire region, the author examines the economic prospects for the Gulf and charts the growth of economic power in the region. the effects of the region’s economic development on international and inter-regional trade. 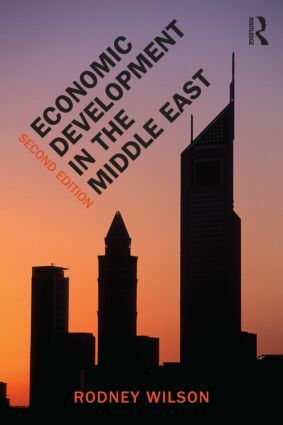 Through discussing the region’s problems of the past as well as the present and future challenges, this book provides students with a compact and manageable review of the state of economic development in the Middle East. Rodney Wilson is Emeritus Professor at Durham University, UK and Visiting Professor at the Qatar Faculty of Islamic Studies. His research interests include Islamic finance and the political economy of development in the Middle East.